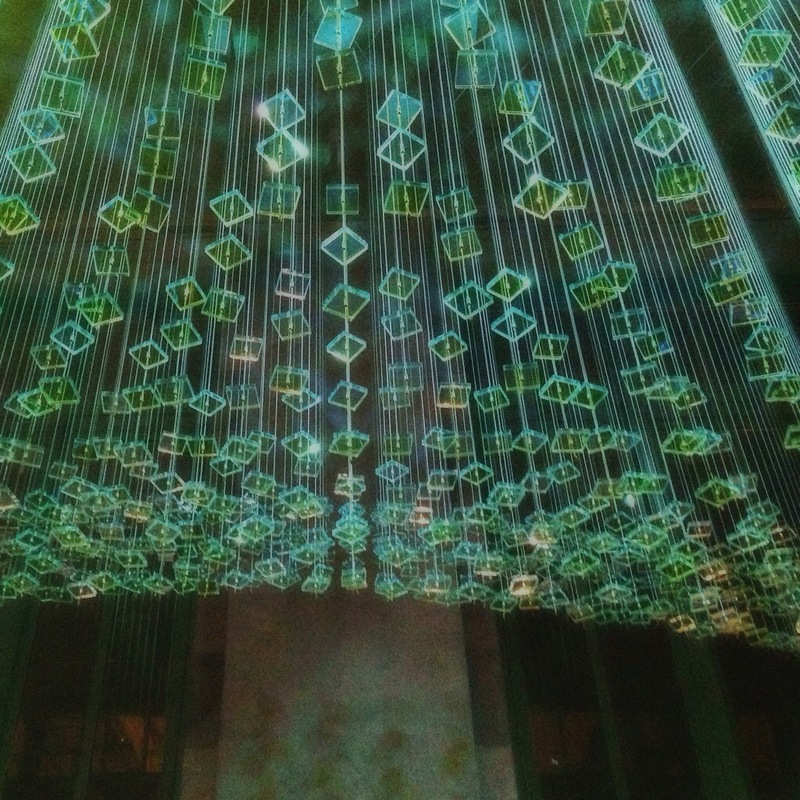 Ray King, a Taiwanese-based artist, recently installed “Twin Waves” in the main entrance of the Saint Paul Union Depot. King, who exhibits his light sculptures internationally, is one of several artists that are now on display at Union Depot in Lowertown. Through a $1.25 million art grant program established by the Ramsey County Regional Railroad Authority, work is slowly being purchased to adorn the chambers and halls of the train depot. I particularly like this exhibit. This is day 296 of Photo 365. This entry was posted in Photography and tagged Art, Lowertown, Saint Paul, Union Depot. Bookmark the permalink.